It's always the right time to save. 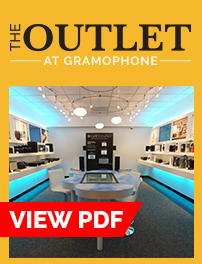 We’ve hand-picked items that will offer you an outstanding value from some of the finest brands in audio and video. Most of these items have been “gently used” as demos in our showrooms. We’d like to find them a good home – maybe yours! *Clearance items are one of a kind and can consist of store demo units, customer returns or items with cosmetic imperfections or blemishes. Accessories, packaging, and manuals may not be available on all items. Not all items are available at all locations. Each location may have slightly different items available throughout the sale. Limited to store stock only and subject to availability as items may sell out. Pricing valid while supplies last.